William Carnegie Clegg was born in Searsdale, Victoria in 1874. He lived at 9 L’Avenue, Newtown and 67 King Street Newtown. His mother Elizabeth Courage Clegg, nee Barron, was his main supporter. William Clegg was gaoled in 1931 for four years after defrauding many of his clients, particularly women. His lenient sentence took into account his formerly upstanding character and contributions to the community. William Clegg was a justice of the peace (JP). He was a member of the Andrew Alexander Orange Lodge, secretary of the Newtown Branch No. 6 of the Australian Protestant Defence Association and vice-president of the Newtown Methodist Cricket Club. He was also vice-president of the Newtown branch of the Womanhood Suffrage League and originator of The Soldiers’ Welfare Society. Clegg stood unsuccessfully for the Newtown-Camperdown state seat. He also stood as the Liberal candidate for the federal seat of Cook. 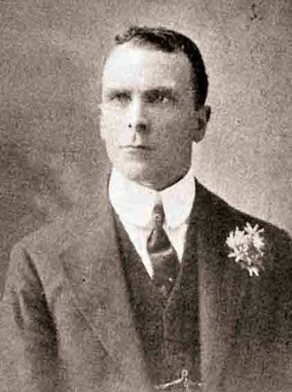 William Clegg was an alderman on Newtown Council in 1908-19, representing O’Connell Ward.